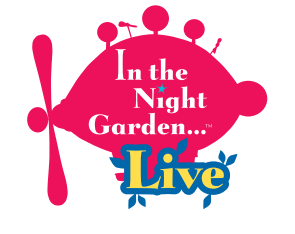 I have some really exciting news, we are off to see In The Night Garden Live next week, it always amazes me the opportunities that I get through my little old blog. Emily is going to absolutely love seeing the characters on stage. Upsy Daisy is her favourite, it is the only program that Emily will sit the whole way through and giggle along with. She would watch it all day if she could (don't worry we don't let that happen). The in the night garden live show is back in the amazing family-friendly snowdome. With just 13 rows of seats, you'll be close enough to the action now matter where you sit. All of your favourite characters will be there, Igglepiggle, Upsy Daisy and Makka Pakka are brought to life before you with beautiful costumes, magical puppets, enchanting music and breathtaking projections that make you feel like you are actually in the Night Garden. There are two different shows to choose from, each one lasts just under a hour and follows a different story. In the Ninky Nonk show, Igglepiggle loses his blanket and all of his friends help him to find it. In the Pinky Pink show, Makka Pakka washes everyone's faces, until his sponge gets stuck in Upsy Daisy's megaphone! So which will you see the Ninky Nonk or the Pinky Ponk? We're booked in to see the Pinky Ponk show, and I know Emily is going to love it. Check back next week too see our review!